Xeomin is an injectable used to reduce the appearance of lines and wrinkles due to repeated facial expressions. It can also be used to shape the lips and jawline, reduce the appearance of neck bands, decrease sweating, and more. Xeomin is composed of a naturally-occurring, purified protein called Botulinum Type A. Xeomin is part of a class of drugs called “neuromodulators,” which can be used to safely and temporarily relax muscles by blocking neurological signals. It is administered strategically to prevent contractions of specific muscles that cause creases, wrinkles and other aesthetic issues of the face and neck. When you try to contract a muscle treated with Xeomin, the movement is greatly reduced. Xeomin and other neuromodulators (Botox and Dysport) treat both dynamic and static wrinkles. Dynamic wrinkles, lines and creases appear when muscles are contracted as you smile, frown, laugh, furrow your brow, and make other facial expressions. Static wrinkles, lines and creases remain visible even when your facial muscles are at rest. When Xeomin takes effect after treatment, it immediately eliminates or reduces the appearance of dynamic wrinkles. Over time, the absence of muscle contractions improve the look of static wrinkles and prevent future ones from forming. Xeomin and other neuromodulators can treat many areas of the face and neck. Vertical lines between eyebrows (the “11” lines) and crow’s feet are commonly treated areas. A small amount just under the outside tail of the eyebrows produces a little lift, and makes the eyes look more open and alert. Xeomin and other neuromodulators also treat other parts of the face. “Bunny” lines on either side of the nose, lips that turn down at the edges, small vertical “smoker’s lines” above the lips, “gummy” smiles, and pebbled or “Peau d’orange” chin. Xeomin and other neuromodulators can also be used to reshape the lower face, making a square face more feminine by slimming down the jawline. It can also reduce the prominence of platysmal bands (vertical bands of the neck) often noticeable in women with long necks. How Many Treatments are Necessary and How Long Will the Results Last? One Xeomin treatment typically lasts 3-4 months, but may last as long as 6 months for some patients. The majority of our patients come in for regular treatment 3-4 times a year. There are no negative effects associated with long-term, ongoing Xeomin use. In fact, studies indicate that patients who receive Xeomin regularly may need less product over time. In the hands of an expert, Xeomin is a quick procedure with little associated discomfort. After discussing your goals and past treatment, Xeomin is injected into the treatment areas using a very small needle. This process only takes a few minutes. Patients often compare the feeling to having their eyebrows plucked. There is no real downtime associated with Xeomin. Once the injections are complete, there is typically mild swelling and redness around the injection sites. This resolves within a few hours. We recommend that patients refrain from strenuous exercise for 24 hours after treatment. The product typically begins to take effect within 7-10 days, with full results visible by the 14th day. Patients can come in for touch-up treatment within 2 weeks from their initial treatment if they would like to see any changes or tweaks to the treatment plan. Xeomin has an excellent record of safety and efficacy since approval by the FDA in 2009. Like any surgical and non-surgical procedures, there are risks associated. Dr. Kim stresses the importance of finding an experienced physician who specializes in aesthetic medicine and understands the finer points of facial musculature and movement. Good candidates are those who are bothered by the appearance of their facial wrinkles, lines and creases. There is no “right” age to start Xeomin. While the majority of our patients are those with both static and dynamic wrinkles, we also treat younger patients who enjoy the preventive benefits of Xeomin. We do not administer Xeomin to patients who are pregnant or breastfeeding, or who have neuromuscular diseases. How Does Xeomin Differ from Botox and Dysport? Botox, Dysport, and Xeomin are all brand names of the neuromodulator Botulinum Type A. You can think of them as different takes on the same product, like Coke and Pepsi. They are more alike than they are different. Botox was the first product approved for cosmetic use. It is a brand name that we often think of as a generic product name, like Kleenex or Band-Aid. It remains the most popular product and is often considered the gold standard. Dysport came next, and has a slightly wider field effect than Botox or Xeomin. Xeomin was approved most recently by the FDA, in 2011. Why Come to Summit Dermatology for Treatment? Dr. Kim personally evaluates every patient that presents at Summit Dermatology. 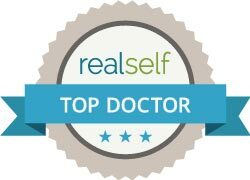 With more than 15 years of experience in cosmetic dermatology, Dr. Kim has trained other physicians and injectors. You can be rest assured that Dr. Kim will customize a treatment to give you the most natural results.